Six times a charm - L’éléphant dans la Salle (The elephant in the room) art exhibit. In the midst of my self inflicted whirlwind, I realized the only place I haven't covered my 6th annual art exhibit is on my own blog. Within the art community that I have had the pleasure of residing since 2008, each month we have a month long art exhibit - curated and produced by various resident artists. A different artist is able to take charge of our 3 floor, 2500 square feet gallery space and create an art exhibit that can explore various art forms, local and national artists, themes, and partnerships. We have also have non-themed community group shows that showcases all of the talent within out building. This year is my 6th year creating a month long exhibit and my second time teaming up with singer/songwriter Alana DaCosta. We have worked on various projects and workshops together and it was just a beautiful experience when you have a kindred spirit with similar passions to create something magical with. 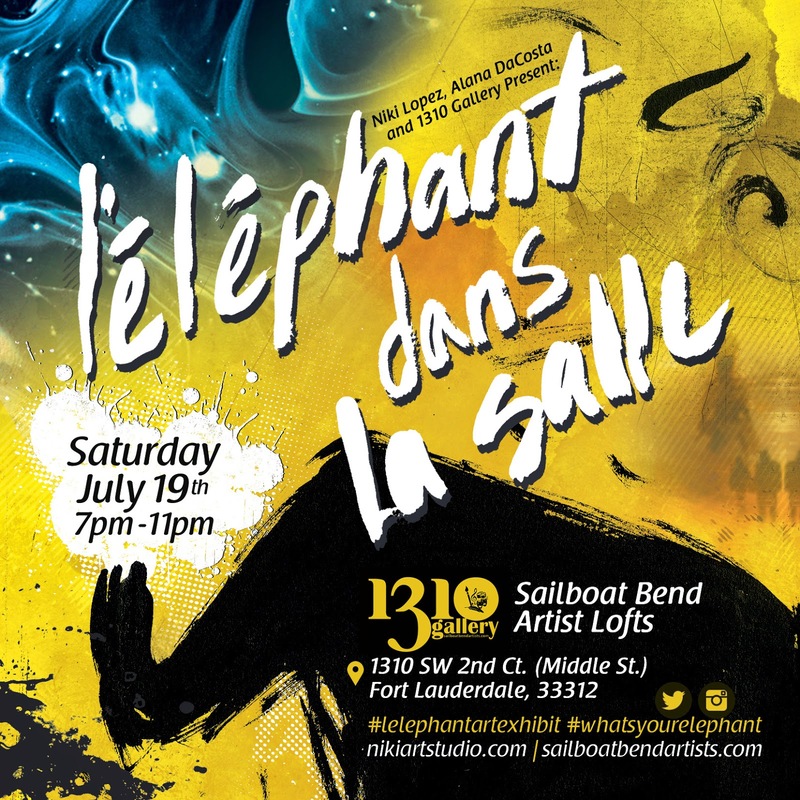 As with previous exhibits, L’éléphant dans la Salle (the elephant in the room) is a month long art exhibit that combines local art, performance, & outreach. Flyer for L’éléphant dans la Salle art exhibit. L'éléphant dans la Salle- (The Elephant in the Room) is an idiom for an obvious truth that is either being ignored, or otherwise unaddressed. The purpose of this exhibit is to provide a safe place for issues and topics that are normally hidden from public view. Through visual and performance art, the artists participating in this event will share secrets and taboos, discussing openly to find solutions for our own individual and collective emancipation. Viewers are invited to enter the 'Confessional', an interactive safe space installation to share their ‘elephant’. Michael D. Colanero (of Uncommon Gallery with photo series .. Breast Cancer Awareness Body Painting Project. 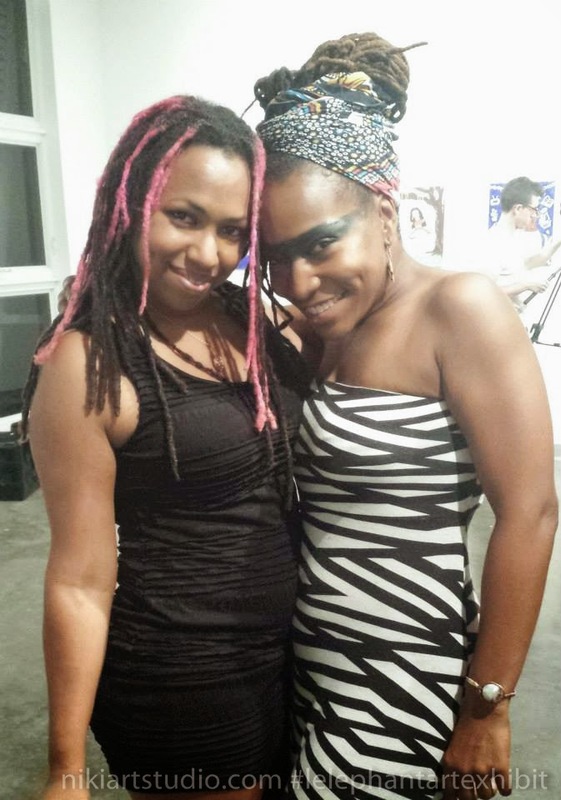 Community partners include: Community Partners: Drag It Out-(501c3), 2014 DaDa National Poetry Slam Team , Boys & Girls Club, local lawyers Ghenete Wright Muir, PJ Hitchins and Shenika "Nik" Harris, Dr. Sketchy's South Florida, Flagler Village Art Walk, and private donors. Photo from the opening night of L’éléphant dans la Salle. Closing: Performance, Open Mic & Live art, hosted by Alana DaCosta. #whatsyourelephant movement. Creating provocative conversations around the unspoken. A human experience project by Niki Lopez & Alana DaCosta. What’s Your Elephant? Community Outreach Project. This community outreach project will provide a safe place for participants to share and heal as a community around issues that are normally hidden or uncomfortable. Participants will create a mixed media collage during this hands-on art experience. Workshop will demonstrate how expressive creative arts can not only help to heal self, it can also reconnect and strengthen communities. Through visual arts, poetry and dialogue, this community outreach project will be a safe platform for participants to explore uncomfortable issues that are oftentimes overlooked yet easier to received when revealed through the arts. What’s Your Elephant? Panel Discussion- Professional artists and therapists will discuss the following focus topics: How can the creative arts help to heal self and reconnect and strengthen communities? To participate in the #whatsyourelephant project, submit via: whatsyourelephant.tumblr.com or instagram.com/whatsyourelephant. You can submit under your name or anonymously. You can also send a direct message or email for us to post. During the closing event, we will have some of the creations from the "What's Your Elephant Workshop" on display. Stay tuned as we take the panel discussions online with periodic online panel discussions as well as pop-up on location workshops. Creative Circle Tuesday's - starting with the artist and performers for L’éléphant dans la Salle art exhibit, I will be posting short artist interviews. Sharing links, personal responses to the call "Elephant in the Room" as well as shearing some of the artwork on display. Event video & photos. We have a ton of images people have shared with us during one of the many events as well as the opening. Are you on Facebook, Twitter, or Instagram? 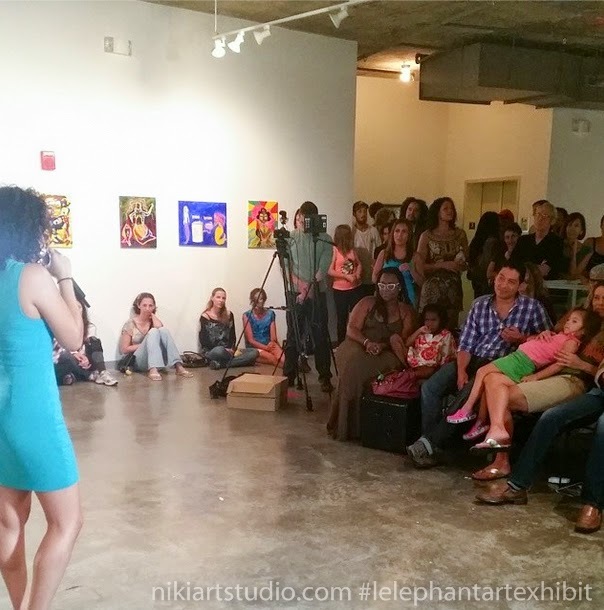 Look up the hastags: #lelephantartexhibit #whatsyourelephant for some images & sentiments behind the exhibit. Photos and details on my new piece titled "Home Grown" a mixed media sculpture and installation dealing with child molestation within religious groups, organizations & cults. One of my more personal 'elephants'. One of the beauties of this exhibit in particular, is that we are being drawn in the path of many kindred spirits. People wanting to share their 'elephants', acknowledging the importance and impact of this movement, and simply lots of smiles, tears & hugs. I'm reminded of two of my favorite quotes"
We welcome you to join us in this journey.